Wind turbines are decapitating golden eagles in California while federally financed solar projects threaten to kill hundreds of baby tortoises, disrupt protected kit fox populations, and potentially desecrate a Native American burial site—consequences that could have been avoided, experts say. Advocacy groups claim the federal government’s rush to promote renewable energy projects—to which the Obama administration has steered billions in taxpayer funding—has led it to ignore long-standing guidelines and processes designed to safeguard protected species and cultural artifacts. "In the rush to get some of these renewable projects on the ground, I think the review processes have not been as rigorous as they should have been, which has led to projects that are problematic," said Ileene Anderson of the Center for Biological Diversity. "Companies haven’t been doing their homework, environmental reviews have been flawed. They have been sort of bullheaded in not recognizing the potential impacts." The Obama administration’s handling of at-risk species has come under question recently, following reports that the president purchased food from a San Francisco restaurant serving shark fin soup, a Chinese delicacy abhorred by animal rights groups. On Wednesday, meanwhile, the Obama administration approved a controversial plan to save the endangered spotted owl by shooting barred owls, a rival species, out of the sky. Anderson’s organization, which assists in the preparation of environmental reviews for such projects, is pursuing a number of lawsuits against state and federal agencies. In some cases, Anderson said, these agencies and their corporate partners have "completely disregarded" warnings from field experts and ignored standard review procedures. One endeavor is the Genesis Solar Energy Project in Riverside Valley, CA, a 250-megawatt plant worth nearly $1 billion. The project received an $852 million loan guarantee from the Department of Energy (DOE). Construction on Genesis, which had hoped to be the first of a dozen planned solar projects to operate in the region, has experienced a number of setbacks after being linked to an outbreak of distemper among local kit foxes—a protected species under California law—and the discovery of what might be an ancient Native American burial site. 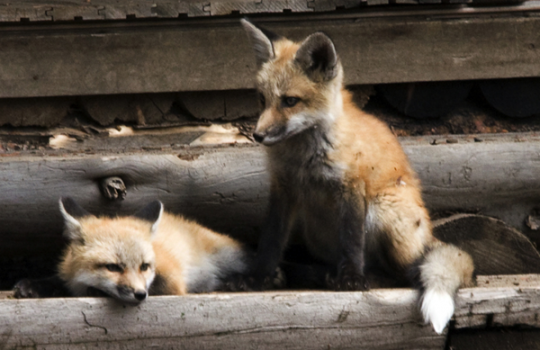 At least seven kit foxes have died of distemper since November on or near the Genesis project site. It is the first known outbreak of its kind. Deana Clifford, a wildlife veterinarian for the California Department of Fish and Game, told the Los Angeles Times that while the disease could not yet be definitively linked to the Genesis development, the stress induced by habit disturbances can make animals "more susceptible to disease." Kit foxes are not the only rare species threatened by the Genesis project. Construction has halted since the Nov. 17 discovery of a number of cultural artifacts believed to signify an ancient Native American cremation site. Cory Briggs, an attorney representing La Cuna de Aztlan Sacred Sites Protection Circle in a lawsuit against the Bureau of Land Management (BLM), which operates the federally owned land on which the project is being constructed, told the WFB that state and federal agencies sought to sidestep standard review measures in a politically motivated effort to speed the process along. "The government was in a hurry to say that they're doing something about global warming and renewable energy," Briggs said. "They wanted to do something that was part of the stimulus. Unfortunately, they opened up a hornets’ nest." Critics charge that projects like Genesis have been fast-tracked in an effort to meet a goal of generating at least 33 percent of the state’s energy from renewable resources by 2020 at the expense of other concerns. Officials with the California Energy Commission (CEC) and BLM deny the charge. "The California Energy Commission did expedite the review of the Genesis project to allow the project to qualify for certain Treasury and Department of Energy incentives," said Roger Johnson, the deputy director for the CEC’s siting, transmission, and environmental protection division. "However, the review was a complete environmental review with conditions of certification to address known and unknown cultural resources at the project site." "There were no cut corners," a BLM spokeswoman told the Free Beacon. According to CEC records, the Genesis project was approved despite "significant environmental impacts" that were deemed to be outweighed by "overriding economic, legal, social, technological or other benefits." If Genesis fails to meet the terms of its agreements with federal agencies and local utility providers, 80 percent of the project’s outstanding loans would be covered by the federal government. Genesis is not the only renewable energy project in the state to run afoul of animal rights activists. The Pine Tree Wind Farm in the Tehachapi Mountains is believed to be responsible for the death of eight federally protected golden eagles. "Birds are smacked out of the air by the blades of high-speed wind turbines and are killed or horribly injured," a spokesman for People for the Ethical Treatment of Animals told the Free Beacon. Wind turbines have posed a threat to a number of bird species for years. In a 2007 KQED report, local biologist Shawn Smallwood described the problem in detail. "We usually found the bird carcasses nearby the turbines," he said. "Usually they were dismembered. A lot of times their heads were knocked off, or a wing, or the bird was cut in half lengthwise or across the middle." "It’s not inconceivable to me that we could reduce golden eagle populations by a great deal, if not wipe them out," Smallwood recently told Fox News. The Pine Tree farm is part of a larger wind project that received a $25 million grant from the Department of Energy and $1 million from the California Energy Commission. The project has created 10.73 jobs, according to Recovery.gov. Smallwood and other biologists said that the wind industry has been "given a pass" when it comes to killing golden eagles, an act that typically carries with it heavy fines and jail time. The birds are protected under the Bald and Golden Eagles Protection Act, as well as the Migratory Bird Treaty Act, which prohibit even the disturbance of the rare birds. Violations carry fines of more than $200,000 and up to 18 months in federal prison. 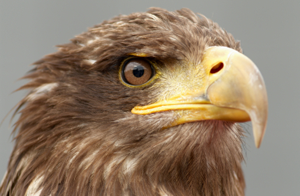 In 2009, a Wyoming utility company was fined more than $1.4 million after pleading guilty to 34 counts of unlawfully electrocuting golden eagles. No legal action has yet been taken against Pine Tree or other wind farms. Lois Grunwald, a spokeswoman for the U.S. Fish and Wildlife Service (FWS), said the agency is still investigating the golden eagles deaths near Pine Tree, and could not speculate as to whether any legal action would be taken. "We’re working with the wind industry to prevent these deaths," Grunwald told the Free Beacon. The Center for Biological Diversity has joined with other environmental groups in a lawsuit against Kern County, where the wind farm is located and where others are being planned, in an effort to impose a moratorium on further construction of wind turbines that were approved following "inadequate" environmental reviews, said biologist Ileene Anderson. Last year, another large solar project in San Bernardino County encountered problems when a BLM report projected that more than 3,000 desert tortoises would be disturbed and as many as 700 young tortoises would be killed during construction. 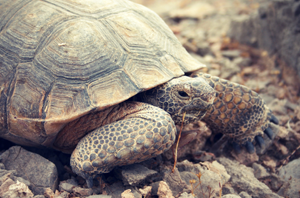 The desert tortoise has been protected under the Endangered Species Act since 1989. An initial review for the project estimated that just 38 adult tortoises would be affected. Anderson said that the developer, BrightSource Energy Co., and the Los Angeles Power and Water Department, which oversees the project, "completely disregarded" warnings from environmental groups about the number of tortoises likely to be affected by construction. "They have to now pay the price and spend lots more money to deal with extra tortoises," Anderson said. The project is part of the Ivanpah Solar Electric System, for which BrightSource received $1.6 billion in DOE loan guarantees. The largest investor in Brightsource is VantagePoint Venture Partners, which has a 25 percent stake in the company. VantagePoint’s principal, Sanjay Wagle, helped raise millions for President Obama’s campaign in 2008 and served as a "renewable energy grants adviser" at the DOE. This entry was posted in Issues and tagged BrightSource Energy, Progressive Movement. Bookmark the permalink.